Is your Christmas more "Santa" than "Savior"? For many, the Christmas season has become synonymous with long lines at the department store and shiny wrapping paper. And in addition to presents under the tree and eggnog, there's something about a Savior born in a manger, right? 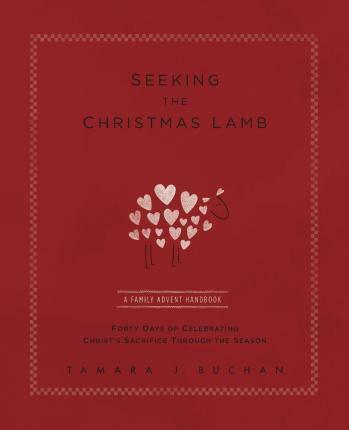 Seeking the Christmas Lamb is a tool for the family who wishes to slow down and find the real reason to celebrate the holidays. Borrowing from her own quest for a meaningful celebration of Advent, author Tamara J. Buchan creates a journey through the twenty-eight days leading to Christmas and the twelve days of Epiphany. Rich but simple daily readings trace God's plan for humanity, from Genesis to Revelation, pivoting on the sacrificial Advent of His Son. Through these pages, you and your family can passionately pursue an intimate understanding of the season's significance. Discover how the Christmas season can help you find a new appreciation for Christ's Advent in your own life!Is your Christmas more "Santa" than "Savior"? For many, the Christmas season has become synonymous with long lines at the department store and shiny wrapping paper. And in addition to presents under the tree and eggnog, there's something about a Savior born in a manger, right? Seeking the Christmas Lamb is a tool for the family who wishes to slow down and find the real reason to celebrate the holidays. Borrowing from her own quest for a meaningful celebration of Advent, author Tamara J. Buchan creates a journey through the twenty-eight days leading to Christmas and the twelve days of Epiphany. Rich but simple daily readings trace God's plan for humanity, from Genesis to Revelation, pivoting on the sacrificial Advent of His Son. Through these pages, you and your family can passionately pursue an intimate understanding of the season's significance. Discover how the Christmas season can help you find a new appreciation for Christ's Advent in your own life!